This week, Your News to Know rounds up the latest stories involving precious metals and the overall economy. Stories include: Silver to show strength before the year ends, the concerning implications of gold’s comeback, and why the world always returns to gold. After a middling October, Kitco reports that silver has spent the first week of November catching up with gold and now looks ready to stage its own upturn. 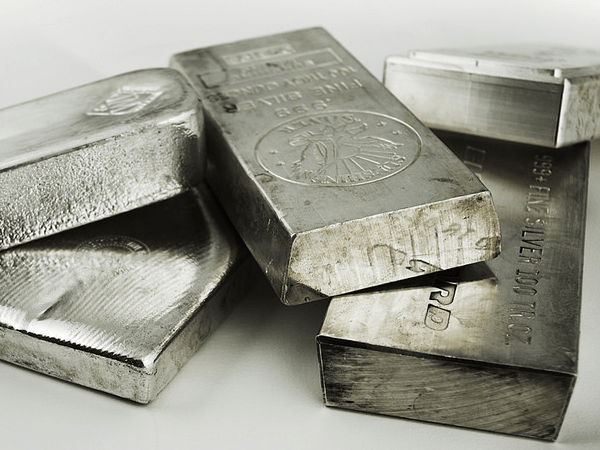 A recent analysis by Metal Bulletin’s Boris Mikanikrezai asserts that silver could surprise investors towards year-end due to the favorable gold/silver ratio. As Mikanikrezai notes in his post on Seeking Alpha, the ratio’s move towards historical highs could be a signal that silver is getting ready to end the year on a strong note. Mikanikrezai believes that the metal has plenty of time to make up for last month’s losses amid a broad equities sell-off. Besides a long-overdue price catch-up, Mikanikrezai says that silver investors can also look forward to a return of speculative interest. The weight of the current short positioning in silver should translate to significant price gains when the covering begins. “I expect non-commercials to swing back to a net long position in Comex silver, which is set to converge to its historical average of 4,140 tonnes (1986-present). This implies a massive wave of speculative buying in favor of Comex silver, resulting in a potentially super-rally in Comex silver spot prices,” said Mikanikrezai. Last month’s tumult in stocks saw investors flock back to gold over concerns that the Dow is about to post more losses writes CNN. The S&P 500 index ended the month 6.5% lower while gold’s price went up by 3.5% during the same period. While most interpreted this as a sign that interest in gold is returning, buyers have been anything but absent from the market. CNN’s Paul R. La Monica points out that central banks continue to bolster their reserves, having increased their purchases during the third quarter by 22%. Besides standard buyers like Russia, Turkey and Kazakhstan, the quarter saw several new countries make sizeable purchases. Natalie Dempster, managing director for central banks and public policy at the World Gold Council, believes that the increase in central bank buying marks the beginning of a bullish trend for gold. Dempster says that the markets have taken notice of interest from the official sector and have potentially interpreted it as a sign of incoming turmoil. Besides more chaos in the stock market, CNN says investors are bracing for a return of inflation. October’s jobs report showed that wages are growing at their fastest pace since 2009, which is synonymous with a rise in inflation. The last time inflationary concerns gripped the market was February, when gold shot up to $1,350 an ounce. Dempster thinks gold will also benefit from the resulting aggressive Fed policy, which will give way to even greater demand for the metal from the U.S. Currencies and precious metals seem to adhere to a pattern that has held up for thousands of years. A currency is separated from any real backing, most commonly the gold standard, before being printed freely at a government’s whim as its value erodes. Meanwhile, gold priced in said currency continues to soar, allowing early bullion investors to reap great benefits even amid an economic collapse. Greater Kashmir’s Dr. Makhdoomi views the dollar’s story as yet another example of this. While still enjoying the status of the world’s reserve currency, the greenback has seen most of its purchasing power wiped out since President Nixon untethered it from gold in 1971. As with most other countries, the U.S. central bank follows a funding model revolving around deficit spending, whereby a government’s expenses exceed available funds. To facilitate this, the government prints more money and incurs more debt by issuing purchasable bonds. Makhdoomi, along with many notable experts and money managers, thinks that this system invariably leads to a collapse. When it does, citizens are reminded anew that money and currency are two very different things and that only one of them has real value. These times show the true strength of gold’s intrinsic value, as the metal will remain an exceedingly coveted asset even when everything else goes under. Barring an unlikely return to the gold standard, analysts like Mike Maloney think we will see a quadrupling of gold’s price as the shaky global monetary system runs out of steam. According to these analysts, the upcoming economic crash will highlight the disparity between money and currency, as only those who own the former will be in a position to thrive when the dust settles.